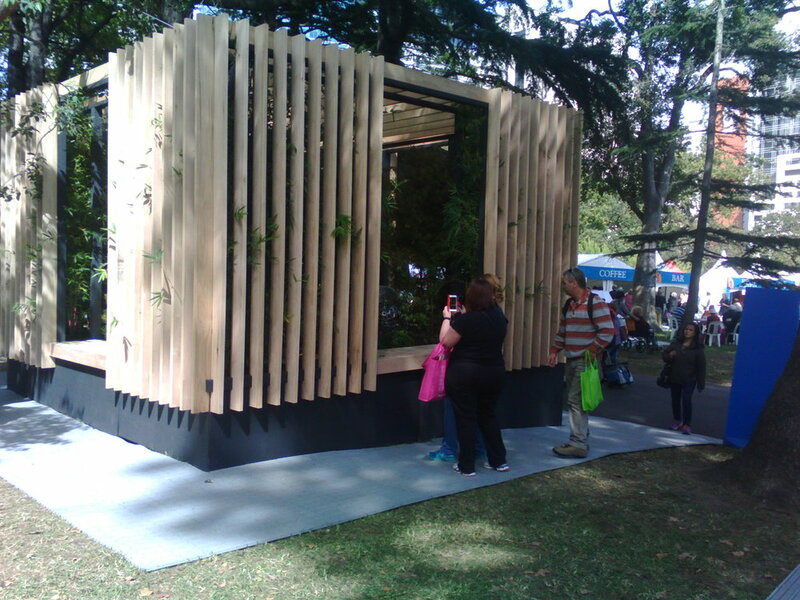 The Melbourne International Flower and Garden Show is the pinnacle of competitive landscape design in Melbourne. A short booklet of our award winning entry is available from iBooks. The 'Temple' was a hugely successful award winning design at MIFGS 2015 viewed by tens of thousands of people. It was a showcase of ideas and art for public spaces, private landscapes, courtyards, atria, hotels, retreats, medical clinics & day spas. 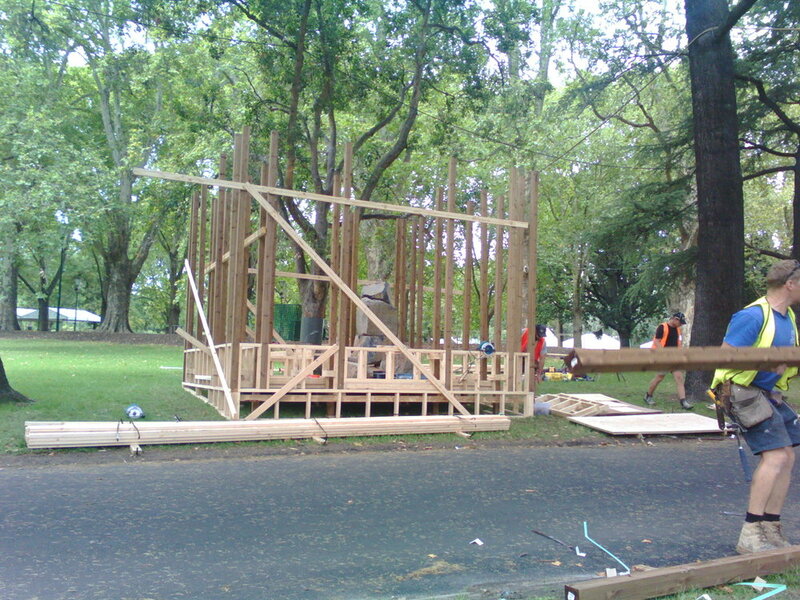 It was a first time build at the Melbourne International Flower Show and it was extremely well received by both world class industry leaders and the general public. Jai Cheswick director of Cheswick Consultants developed the idea as a place in which someone can feel at home and comfortable with themselves. In an age where stress is the number one mental health issue for Australians and one of every 3 to 4 people suffers from either anxiety or depression within their lifetimes it is important to find an antidote to the chaos. The success of the project depends on the perceived benefits gained in terms of personal wellbeing. Sometimes it is difficult to visualise and conceptualise how a landscape will look from 2D plans so we prepared a 3D presentation to portray the emotional as well as the visual elements of the garden. Based on the simplicity of the Japanese ‘dry’ garden, incorporating elements of Chinese and Indonesian styles, we’ve designed this landscape to be pleasing to the senses and soothing to the mind. There were a number of versions of the temple concept and this particular one stood out as most suited to creation as a 'show' garden. 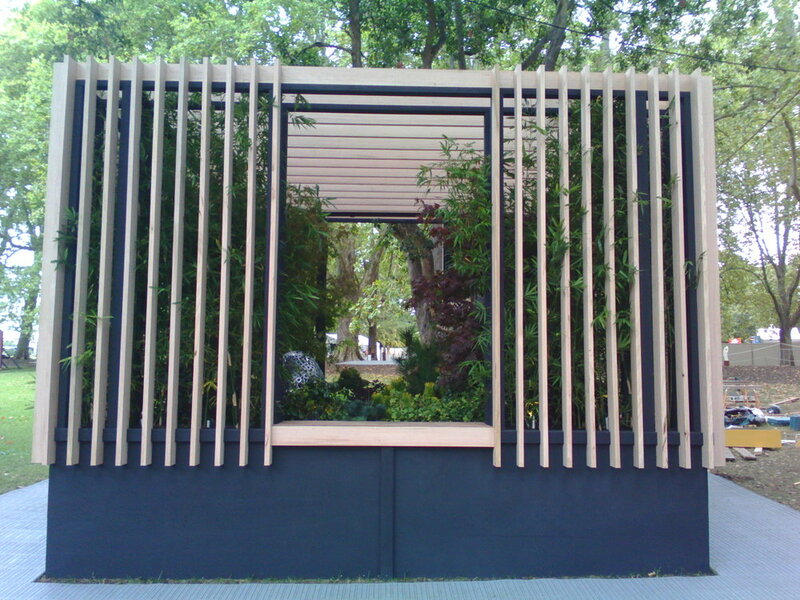 Mirroring the Asian philosophical principle of ‘unity in diversity’, and ‘the balancing of opposites’, The Urban Temple is a blend of dynamic contrasts: inside/outside, small tree/large tree, high platform/lower planting, shadow/light, warmth/coolness, enclosure/openness, stillness/movement. In Australia we have become conditioned to European garden styles in which we sit in the garden and observe the features of the garden. The experiencer is separate from the experience. However, Asian landscape design acknowledges that man and nature are not separate. We are nature. To be at ease within it and to lose yourself amidst the tranquility of the natural surrounds is the goal. Rocks and water draw your attention to earth, whilst the bamboo lifts your vision to the heavens. ‘China red’ inner walls provide warmth, contrasted and complimented by the coolness of the plants and pond. The scented plants and blossoms fill the senses on warm spring/summer days sitting quietly on the bamboo deck. A series of bamboo skins envelope the main recessed area creating a walled, protected space. Rock formations mimic mountain ranges, while water replicates rivers and lakes. Many of the plants we have used have their origins in Asia. We have reworked them into a modern contemporary formal planting arrangement. These plants are commonly used shrubs and trees like Azalea, Buxus, Ajuga, Malus, Acer, and Tracehelospernum ensuring easy maintenance and management.